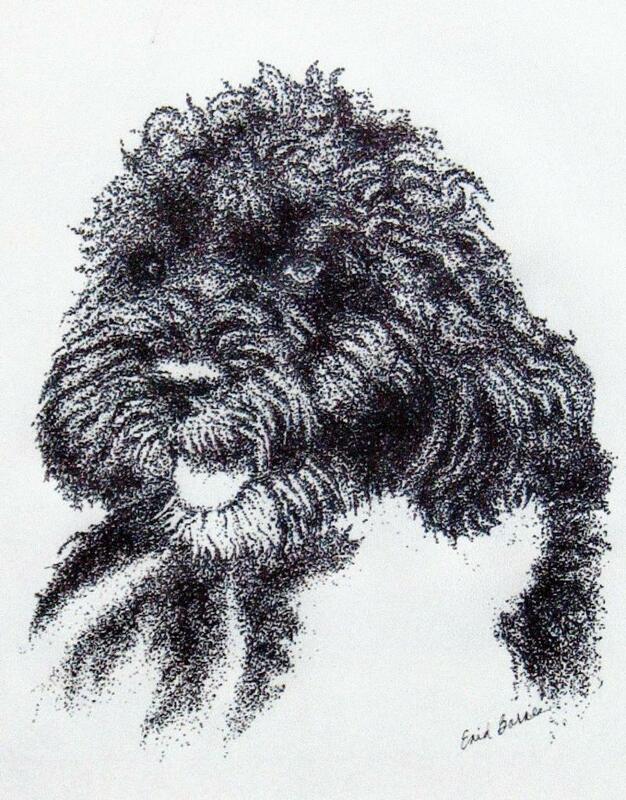 Here is a little history about our early involvement with Portuguese Water Dogs. was a Portuguese Water Dog. that this was the breed for us. around at the time. We got lucky. We have had 23 wonderful years of bringing love and joy to so many families. This has truly been a labor of love for us and our family. It is now time for our daughter Jobie to continue our kennel. Jobie has been involved with all aspects of our doggy world. Her passion and compassion for these 4 legged wonders has been shown thruout the years. When Corky decided to retire from grooming she stepped up and now has a successful mobile dog grooming business with many of Corky's original clients. She has been active in the breeding process for many years now and we feel that the time has come for her to take over Doesea Kennels. We are confident that she will provide the same, maybe better, service to our future puppy families. All contact should be made to Jobie. We will always be there for consulting and any questions that should arise, but we are putting you in the capable hands of an excellent PWD lover. Thank you for many years of joy, love and good friends. The Portuguese Water Dog has two very distinctive coat types. The curly coat has tight cylindrical curls whereas the wavy coat is looser and is more free flow.The wavy coat also tends to have more of a silky sheen then the curly coat. The adverage height of the male is 22 inches, wereas the female is a little smaller at 19 inches. The weight is anywere from 35 to 60 pounds. The colors of the coat is black or brown, some have white markings. There are white coats with black or brown markings. PWDs are hypoallergenic. They are a non shedding breed and therefore do not have the dander that usually causes allergies. The Portuguese Water Dog is a very sturdy, rugged dog. It was originally bred to work on the fishing boats in Portugal retrieving fish and fishing nets for the local fisherman. They were also used as carriers from boat to boat and to shore. They are a very active and very obedient dog. They love to please their owners. They will be your sidekick and loyal companion when trained and treated properly. They love to compete in obedience, tracking, agility, waterworks and/or any other type of competition.